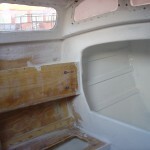 The inside of the boat before painting. 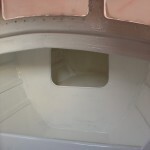 I spent a few days introducing Dremel to the dark and hidden corners of the boat, removing sharp or loose fiberglass. I intended to add more fillets to fine tune the looks of the inside, but then I recollected that the qualityof the surface texture is of infinite limits and decided to go for painting. 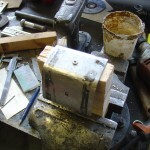 This is a sharp reminder that fine tuning s-h-o-u-l-d be done when epoxy is still malleable. Putting the paint on was rewarding. I applied a generous coat of paint with a large, soft brush. I thus wont go for a second cover. 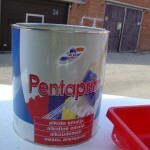 The paint – an oil based enamel (alkyde) called Pentaprim. For interior and exterior use. 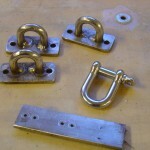 I once ordered some extra U shackles and now made deck fastenings out of them. 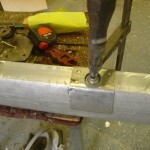 The metal plate is a coming fastening. 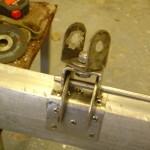 I cut the ends of the shackles and put those trough the plate so I could weld the ends from below. It is a ton stronger that way. Working on the gooseneck. 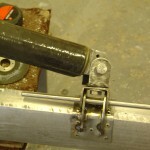 The swiwel is held together by a M 12 AISI 316 bolt. 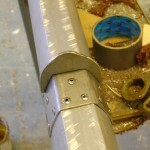 Making the mast side clamp proved fun. 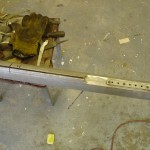 Here I pre-drilled rivet holes. Five rivets in each face. Then I needed to cut off some sail guide. The tool of dreams came to aid. 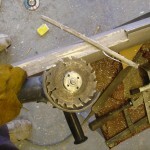 A carbide tipped saw blade fixed to the angle grinder. It took off the sail guide as if it was hot butter. 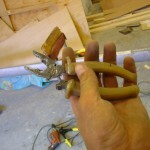 I held the mast clamp down with a .. clamp. And… it worked! 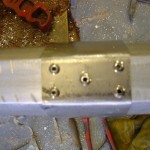 AISI 316 rivets pulled well, finished off with a loud bang. I must have eaten too much porridge in the morning. The second pair of forceps I snapped. Tried to bite trough the rivets’ pulling pin. 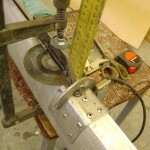 Then the tricky part – cutting the right curves into the gooseneck fittings. But it all worked out well. I made about 4-5 cardboard templates. And a copy-paste to give the idea of what is about to happen. Welding! 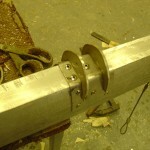 This is why I riveted the base plate into place before welding. Namely – heat distortion. 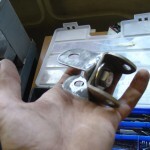 Stainless steels bend like the hunchback of Notre-Dame. The aluminum of the mast spreads the heat load. Furethermore, my arc welder would have otherwise burned trough the thin 2 mm base metal. 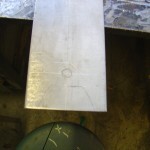 The other two parts are 4 mm thick. 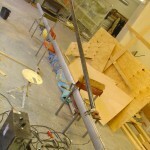 I need to make on U piece longer, the boom can otherwise rotate only about 45 degrees relative to the mast. But fortunately that will not take more than a few hours. 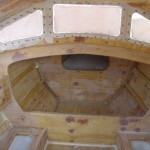 The companionway is all good now. Finished off with le Tonikois nr. 1 marine varnish. I will write about the application in a separate page. All I say is – not as simple as it seemed at first. The hatch is rain proof alright. I took a rainy mid-day nap in the boat. Stayed dry. 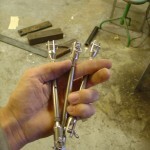 Three turnbuckles I bought – but these are too small to fit trough our chainplate holes. Will sell these and buy bigger ones. 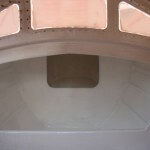 have been following your progress for a couple of years now and have even bought fafnir plans. As luck would have it I found a completed fafnir close to my 25 foot boat and have negotiated to exchange boats. 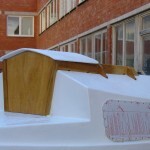 Send your email and I will send copies of my new boat. 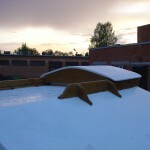 you are welcome to put the photos on your website. Rod, thank you for the comment! I sent you an email.